Evans is renowned throughout the window treatment design market with our fabulously large range of curtain sample racks, blinds and other window treatments. Make the most of your windows at Evans of Masterton. But don't take out word for it! Come down to Evans of Masterton and discover a world of fabrics, drapes and accessories. ​With LUXAFLEX®, you don’t have to compromise your privacy, style or comfort in order to protect children from accidents with window coverings throughout your home. 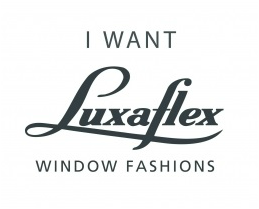 LUXAFLEX window fashions are available with a wide range of optional child safety features that can be fitted to LUXAFLEX window coverings in homes where children may be. ﻿Design experts from Warwick work tirelessly, hunting for inspiration and the next trend in fabric. They bring that into every range in the Warwick collection, carefully selecting the best fabrics from around the world. Ken Bimler Limited is a leading New Zealand-based importer and wholesaler of high quality soft furnishings. Our range includes curtain fabrics, curtains and bedspreads. We also have a range of upholstery fabrics that in New Zealand are marketed under the Interfab brand. Our marketing activities cover all of New Zealand and Australia.